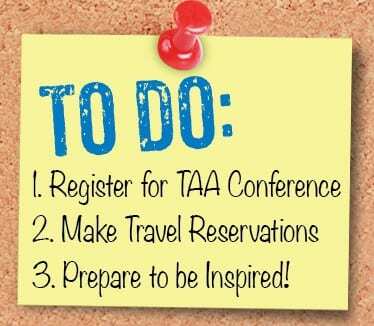 More than 50 attendees at the 2015 TAA Conference took advantage of the free Photo Booth to get a headshot taken by TAA Membership Coordinator Bekky Mayfield, who is also a professional photographer at Lady Bug Photography LLC. Why should anyone want to write textbooks, journal articles, or other academic publications? After all, prospective authors can never be sure that their manuscripts will be accepted by an editor or publisher, and textbook authors can never be sure that their books will earn more than a modicum of royalties. Is there method to our madness? We invite you to attend the Text and Academic Authors Association’s 28th Annual Conference at the The Westin Las Vegas Hotel, Casino & Spa, June 19-20, 2015.